The Flaws will be performing an acoustic set and signing copies of their new album â€˜Achieving Vaguenessâ€™ at HMV Grafton Street store, on Friday 21st September at 5.30pm. The Flaws, a four-piece from Co Monaghan, Ireland released their debut self financed EP in the summer of 2005. The 4 track EP won a host of admirers with tunes like ‘Sixteen’, & ‘Idolise’. 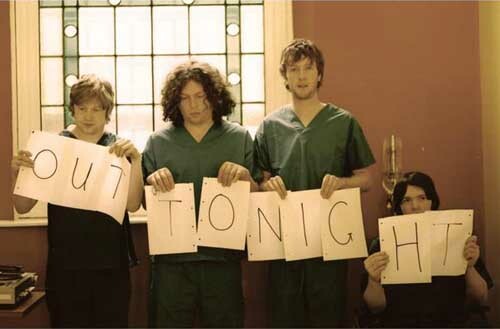 National airplay quickly followed on Today FM with presenter Alison Curtis describing the lead track â€˜Sixteenâ€™ as â€œbrilliant, one of the best Irish tracks of 2005â€. The Flaws toured Ireland in June â€™06 to support a free download track â€œOut Tonightâ€, recorded their first 2FM session and took part in the Nokia New Music Tour alongside Director, The Blizzards and The Marshals. A flurry of pre-Christmas activity with a Club NME headliner and 17 live dates including tours with both Director and Polytechnic saw a busy end to 2006. They performed some â€˜noisy, dirty rock nâ€™ roll â€˜(as described by John Kelly himself) on â€˜Other Voicesâ€™ which was broadcast on RTE Two in February â€˜07 along with performances from Get Cape Wear Cape Fly, Director, and Cerys Matthews.